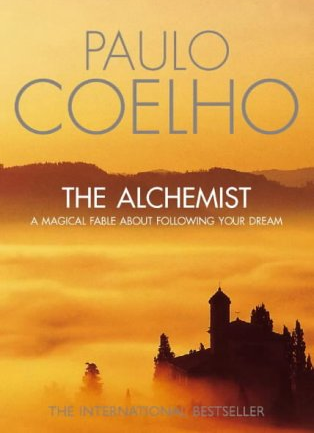 So I had a long drive today and finally decided to listen to the Alchmist a fictional book by Paulo Coelho about chasing your dream. It really got me thinking and I want to share these thoughts with you. When you are young you know what your personal legend is. At that point of your life everything is clear and everything is possible you say what you want to say and do what you want to do. Heck if you think you can fly you to don’t ask your parents or write a 5-10 year plan, you just climb up to the highest point in your parents living room i.e the dinning room table and you jump. You are not afraid to dream and you are not afraid to search for the hidden treasure. When you are young you see things not as they are but as they could be, turning your bunk bead into a fortress to fight off the evil warriors. When you are young you are not afraid to yearn for everything you would like to see happen in your life. But I agree with the book, something happens as we get older and as time passes a misterious force begins to convince you that it will be impossible to realize your personal legend. What is that mysterious force? Previous Post Wall Street Journal Baby!!!! !